What is an HEPA filter used in a vacuum cleaner? In a previous post we explained How often you should call a professional Carpet Cleaner, mentioning vacuum cleaners with HEPA Filters. In this post we want to explain what they are and also provide some important information you need to know about them. First of all, what does HEPA mean? The acronym HEPA stands for High Efficiency Particulate Air, a filter installed into high specs vacuum cleaners, able to remove large amount of very small particles that other vacuum cleaners (the budget ones) would simply recirculate back into the air of your home, depositing again on your carpet floor. True or Absolute HEPA: They pass a quality test where they have to collect 99.7% of particles in size of 0.3 micron (0.00030000 Millimeter). If the test is positive, they get a serial number to be printed on the filter, as well as the result of the test in percentage. 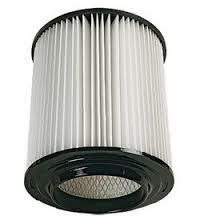 Surely are more expensive than the not true filter but they keep your home safe from micro dust and allergens. Traditional HEPA Filter or just Hepa Filter: On the quality test they still have a good performance over a traditional vacuum cleaners but they collect less micro particles than the previous filters. In this case the percentage depend on the manufacture specifications. An example could be 80% – 90% for 0.3 micron. Usually these filters are priced lower than the previous ones. 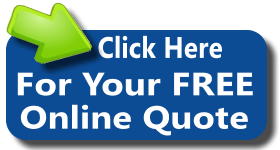 Why purchasing an HEPA filter vacuum cleaner is a better choice? Usually micro particles that classic vacuum cleaners can’t collect are responsible for allergies and respiratory issues such as asthma. Cleaning your carpet with an HEPA Filter vacuum cleaner on a regular basis will mantain the best fresh cleaned environment in your home between the visits of a professional carpet cleaner like Chem2Clean. What the next step if I want purchase an HEPA filter vacuum cleaner? Check always the specification of the filters, the percentage of 0.3 micron particle that can trap for a better price comparison. If you have time you can do a search online for some products feedback written by their users.